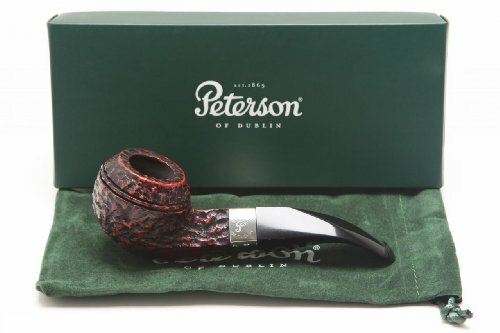 Product: Peterson Donegal Rocky 80S Tobacco Pipe PLIP Brand: Peterson Country: Ireland Bowl Material: Briar Finish: Rustic Stem Material: Vulcanite Shape: 80S Package: Box Filter: None Length: 5.37 in. / 136.39 mm. Height: 1.61 in. / 40.90 mm. Bowl Outside Diameter: 1.67 in. / 42.48 mm. Bowl Inside Diameter: 0.79 in. / 20.18 mm. Bowl Depth: 1.20 in. / 30.48 mm. Weight: 1.7 oz. / 46 g.